Definition of an Investment. Pursuant to 22 CFR §41.51(h), to constitute an investment for E-2 visa purposes, the investor must place his capital and assets at risk to generate profit. The investor must also own and control his investment capital. The investor must accumulate the capital through legal means such as savings, gift, inheritance or an unsecured loan. To qualify for E-2 visa status, the regulations provide various avenues for applicants to engage in creative investment pooling through loan, gifting or holding companies. Investment Must Be at Risk. The investment capital must be subject to partial or total loss if investment fortunes reverse. Such investment capital must be the investor’s unsecured personal business assets or secured personal assets. Indebtedness secured by the assets of the business is not considered a qualifying investment. This is true even when personal assets in addition to the assets of the business secure the indebtedness. However, unsecured loans or loans secured solely by the alien’s own personal assets are considered qualifying investments. Investment Must be Irrevocably Committed. According to 22 CFR §41.51(l), the capital that is in the process of being invested must be irrevocably committed to the enterprise. For the applicant to be in the process of investing, he must start actual business operations. That is, a mere intent to invest, to posses uncommitted funds in a bank account or prospective investment arrangements will not suffice for E-2 visa purposes. On the other hand, a reasonable amount of cash, held in a business bank account and used for everyday business operations, is considered to be an investment of capital. In such a case, the amount of cash held in a bank account must be sufficiently significant to indicate that the applicant plans to commit his investment capital unconditionally and irrevocably. If an applicant is in the process of buying an on-going business, he can show that the entire qualifying investment has been irrevocably committed, even when the purchase has not been completed. A binding agreement of purchase and sale coupled with a closing in escrow (conditional upon visa issuance) will satisfy the commitment of funds requirement. Similarly, an irrevocable direction by the applicant to his lawyer, directing him to apply the funds to the purchase of the business (subject to visa issuance), may also demonstrate the necessary irrevocable commitment to invest. When the applicant starts a new business, it is much more difficult to show an irrevocable commitment of the entire qualifying investment. In such cases, the applicant will be expected to spend a sufficient percentage of the investment capital before irrevocability will be established. 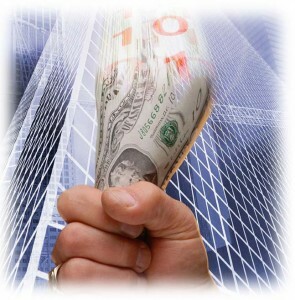 Financial Transactions Are Required to Establish Investment. Initial investment capital may be in the form of lease payments for property, equipment or inventory. The applicant, however, must demonstrate that subsequent lease payments will come from the earnings of the treaty enterprise. For example, if the treaty trader purchases inventory or prepays an equipment lease a year in advance, these transactions may be viewed as qualifying investment for the E-2 visa purposes. Similarly, the value of the goods shipped to the United States to start the business may be considered as investment capital as long as the investor demonstrates that these goods are intended for business purposes. Rights, title and licenses for the possession of intangible property may be viewed as investment of capital as long as the value of these assets can be determined using acceptable evaluation methods. When the investor is seeking E-2 visa status through an established entity, his attorney must present careful documentation of the initial investment, analysis of income, profit, retained earnings as well as business expenses to show that his investment is sufficient to meet the requirements. In this situation, consultation with an experienced tax attorney or accountant is highly recommended to assess the tax implications on E-2 visa eligibility. The Investment Enterprise Must Be Bona Fide. Pursuant to 22 CFR §41.51(m), the E-2 visa investor must contribute capital in an active, commercial business that provides services or products in order to generate profits. The business must comply with all relevant state registration, franchise, licensing and business laws. The business entity may not be a shell corporation or one simply holding title to land that might appreciate in value in the future. The investor must contribute his capital to the enterprise. Therefore, E-2 status is not available to the members or stockholders of not-for-profit organizations. The Investment Must Be Substantial. According to INA §101(a)(45), the term “substantial” means “such an amount of trade or capital as is established by the Secretary of State, after consultation with appropriate agencies of Government.” Although there is no minimum DOLlar amount that is required for the E-2 investment purposes, USCIS often uses a threshold of $50,000. This does not mean, however, that the investor must invest $50,000 since the investment could be less. As long as all the other requirements for E-2 status are met, the cost of the business, per se, is not independently relevant or determinative of qualification for E-2 status. The law requires consular officers to apply substantiality guidelines on a case-by-case basis. In adjudicating an E-2 visa, USCIS, however, will ensure, to a reasonable extent, that the business invested in is not speculative, and is, or soon will be, a successful enterprise as the by dint of sound business judgment in accordance with 9 FAM §41.51, Note 10.1. The FAM further explains that the personal origin of the funds disposes of the risky undertakings and ensures that the investor is unquestionably committed to the success of the business. (ii) The cost of an established business or, if a newly created business, the cost of establishing such a business. The cost of an established business is the purchase price, which reflects the fair market value of the business. The cost of a newly created business is the actual cost required to start and run the business. The investor’s commitment to a successful and viable business enterprise as well as investor’s business judgment are the factors that USCIS considers in determining whether the investment is substantial. Investment Must Not Be Marginal. Pursuant to 22 CFR §41.51(b) and 9 FAM §41.51, Note 11, to obtain E-2 status, the applicant must not invest in a marginal enterprise with the sole purpose of earning a living and obtaining E-2 visa status. A marginal enterprise with no ability to generate profit in excess of the investor’s minimum living requirements does not qualify for E-2 status. On the other hand, a business that has reasonable potential to generate profit, expand job market or contribute to the local economy is not considered to be a marginal enterprise. An experienced attorney working with an accountant will present a detailed and reliable five-year business plan to USCIS during the E-2 application process. Investor Must Develop and Direct Business. In accordance with 22 CFR §41.51(b), a treaty investor (but not the employee) must enter solely to develop and direct the treaty business. The investor must own at least fifty percent of the treaty business, retain control over the invested portion as well as the operational aspect of the business. If a sole proprietor or an individual who is a majority owner wants to come to the United States as E-2 visa investor, bring an employee to the United States for his treaty trader business or an employee of an American business, the investor must prove that he personally develops and directs the business. Similarly, if a foreign company owns at least fifty percent of the American business and wants to bring its employees to the United States, it must demonstrate that it develops and directs the firm. When the treaty trader does not own least fifty percent of the treaty business, he must use proxy and managerial agreements to show that he has the authority and ability to develop and direct the business. A partnership or venture in which two partners retain control and management responsibilities will meet the ability to develop and direct business requirement. It will be problematic to prove the ability to develop and direct the business if the entity has more than two partners. In situations that it is difficult to show that one individual or entity has the ability to develop and direct business, the owners of the treaty country business must show that, together, they own fifty percent of the American business and, collectively, have the ability to develop and direct it. In these cases, an individual owner is not eligible to receive an E-2 visa as the “investor” nor may an employee be considered to be an employee of an owner for E-2 purposes. An owner and the employee may still qualify for E-2 status as an employee of the American business that is the treaty investor. Special rules apply to franchised businesses, which contain restrictions on their operations. The franchised business may qualify for E-2 status if it shows that it has sufficient control over the management of the business, ability to hire and fire employees as well as wages and hours of operation. The investor must provide detailed documentation explaining how the franchisee continues to retain operational control.